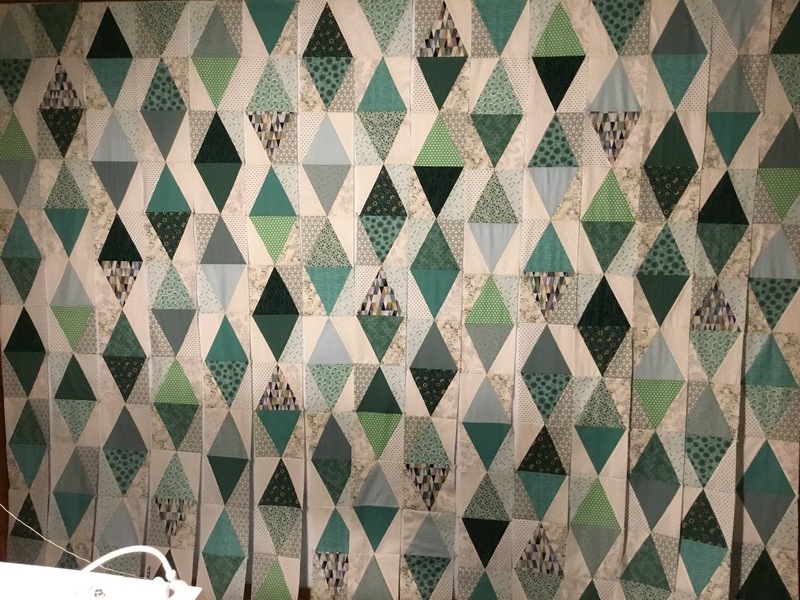 My daughter was over last night and we were able to get all 15 columns of this quilt sewn. 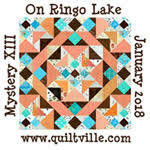 I could not get a picture of the entire quilt, you can only see about 12 of the 16 row of triangles. Now all that is left is getting the columns sewn together into a top and then quilting and binding. All by June 2nd!